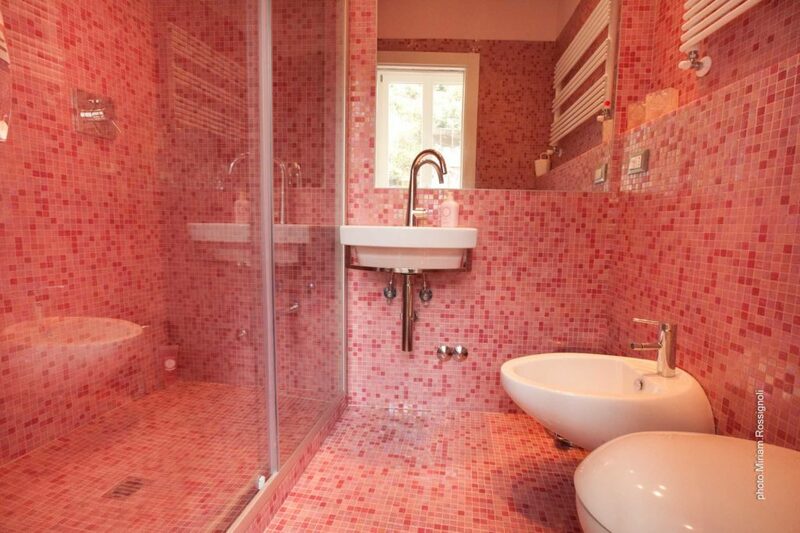 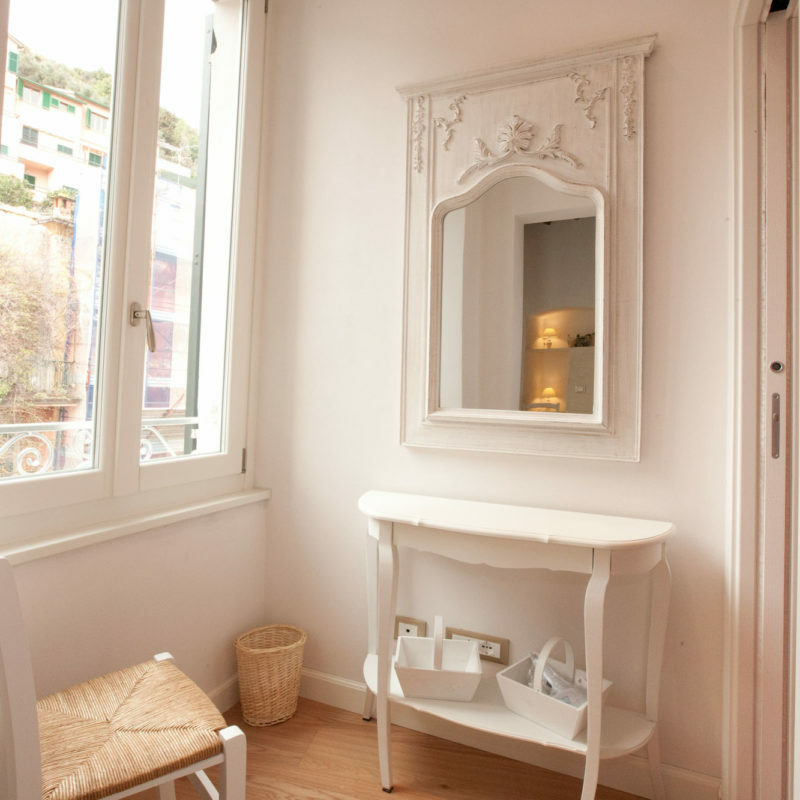 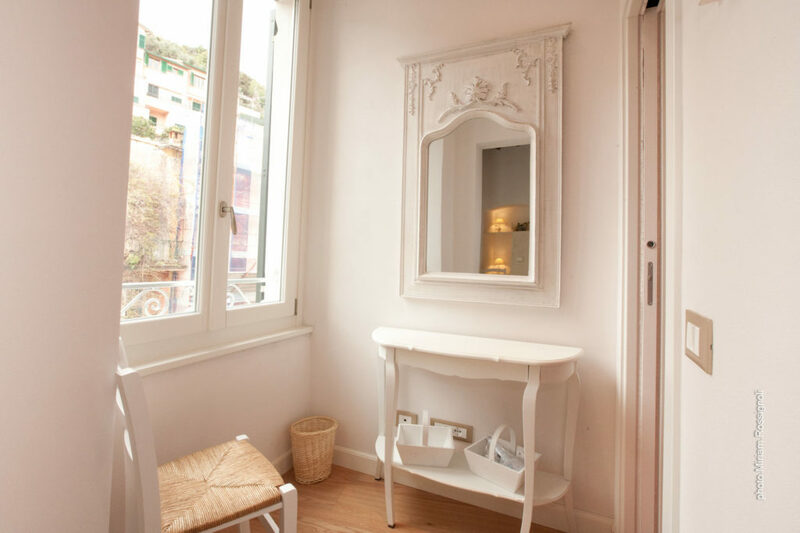 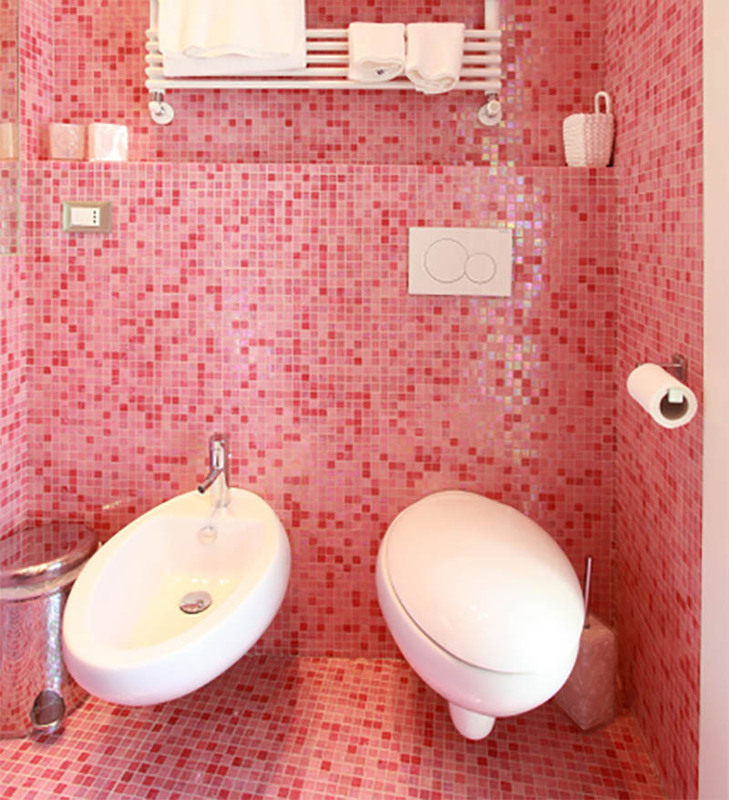 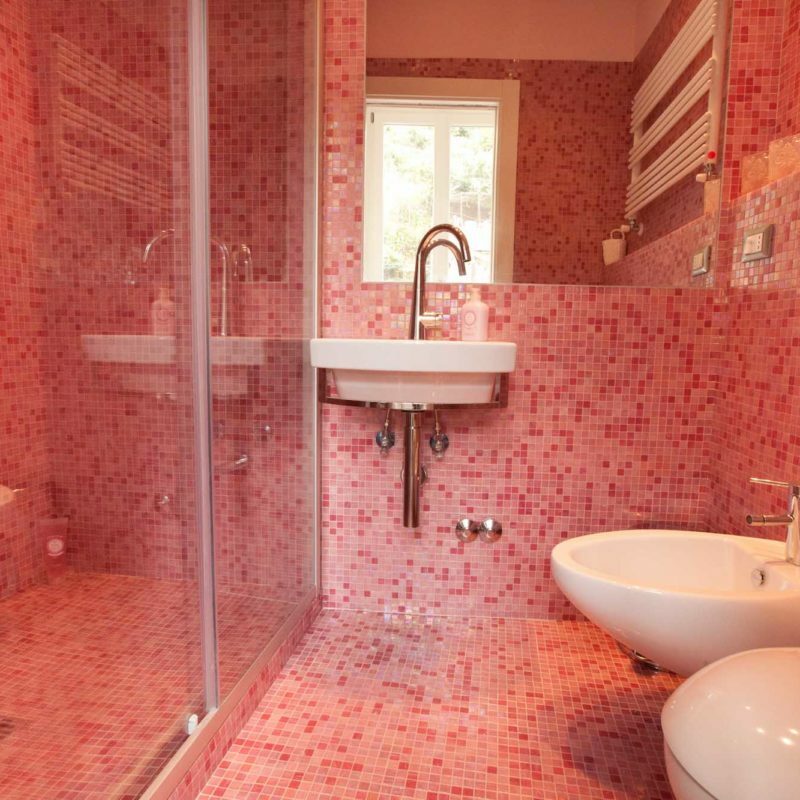 The double room deluxe "VERNAZZA" reflects the pastel shades of Vernazza. 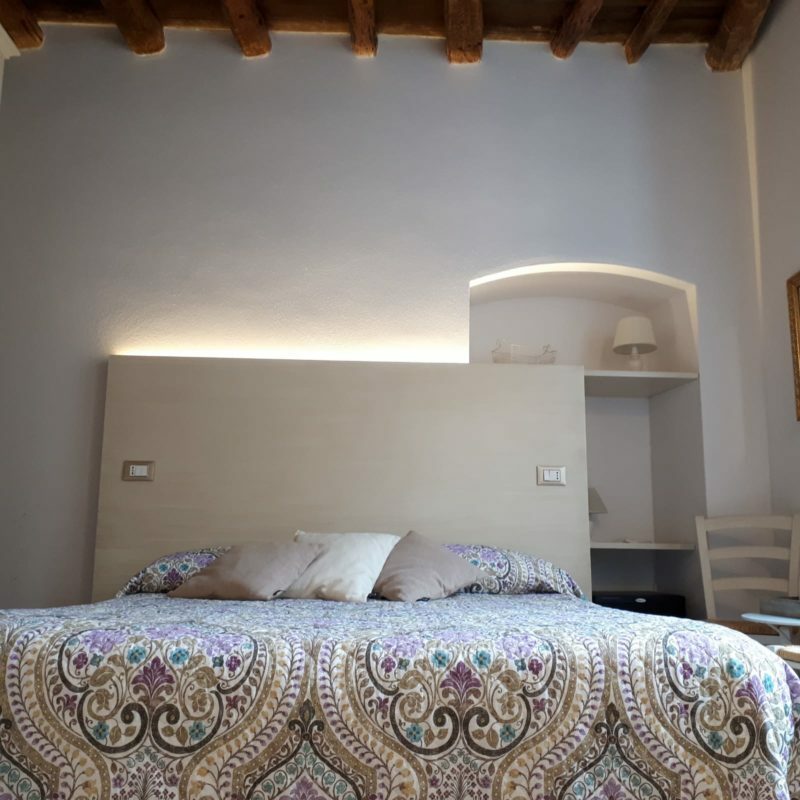 The ceiling is the original chestwood-ceiling of the room. 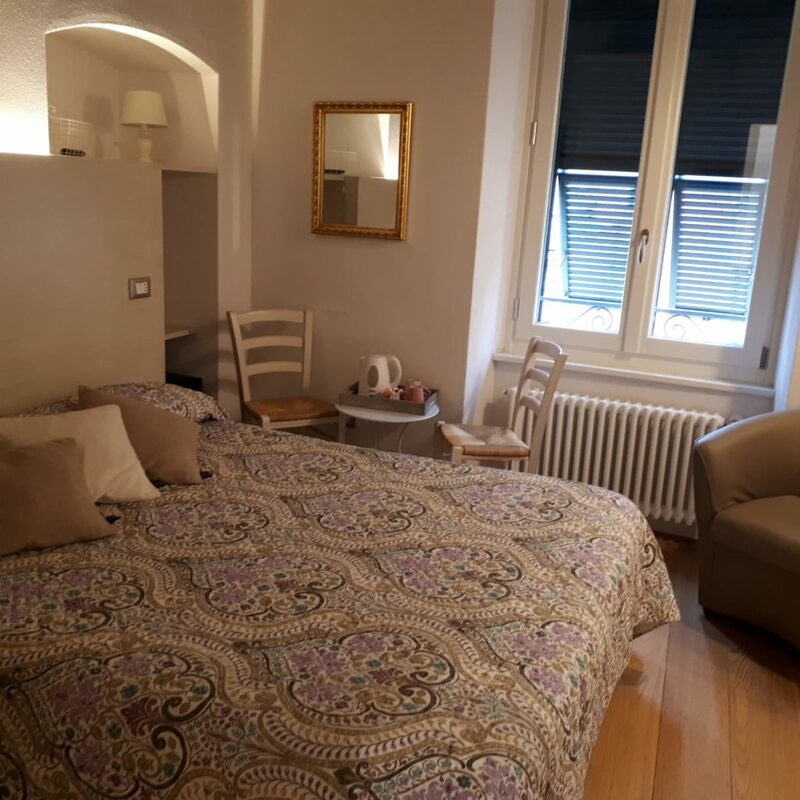 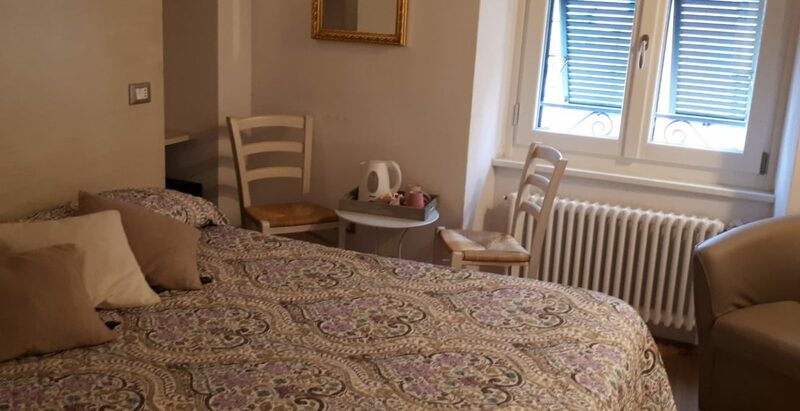 The double room VERNAZZA is new and has got air conditioning/heating, Wifi, TV and beautiful views to olive and lemon gardens and the historical centre. 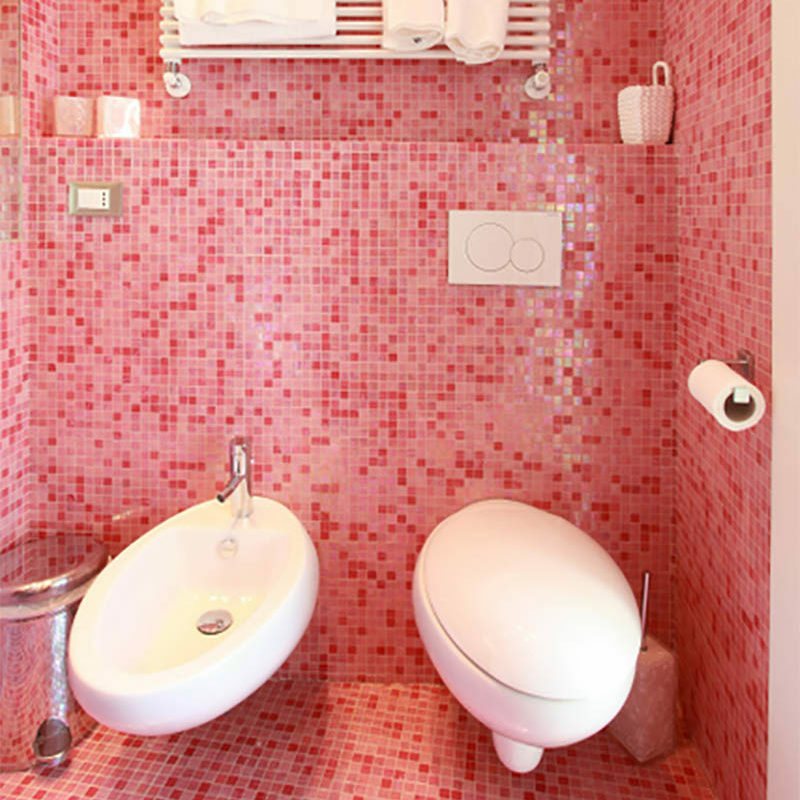 The room is furnished with a double bed (Queen size:160x200cm) and the beautiful pink on-suite bathroom has a large shower.